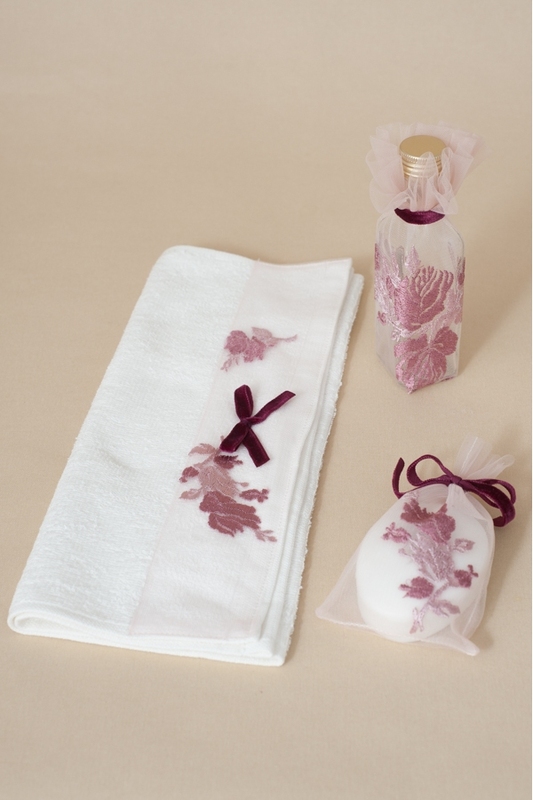 Christening priest set decorated with embroidered lace. 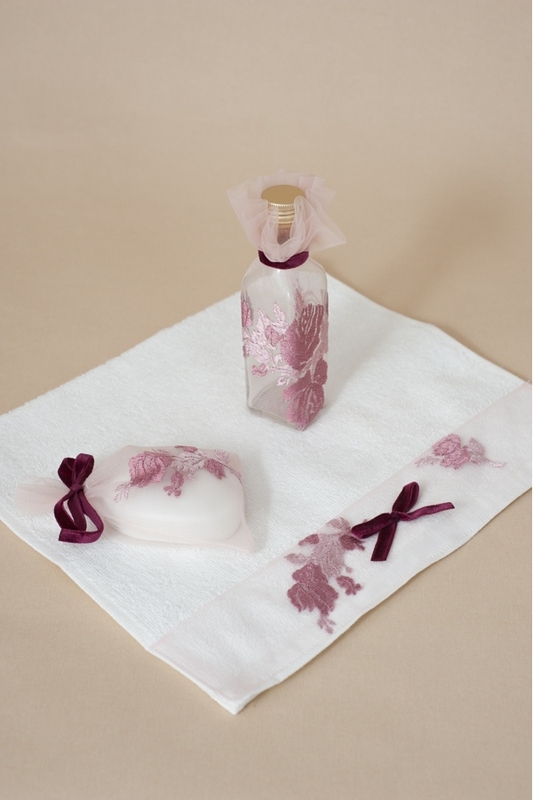 The set contains the towel for the priest, the soap and the christm (myrrh) bottle. - bottle: 13 x 5 cm. Color: ivory and shades of pink.